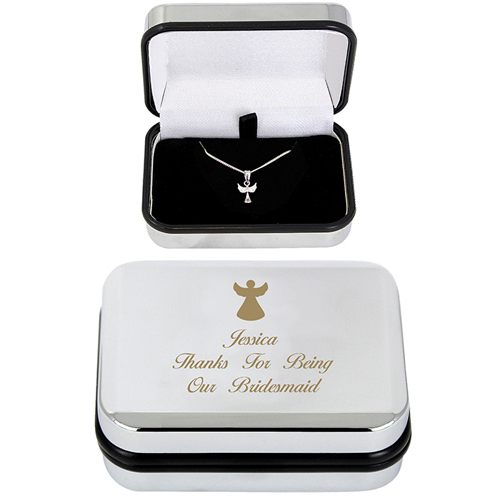 This Sterling Silver Angel Necklace is presented in a fabulous Engraved Chrome Box which can be personalised with a message over 3 lines of up to 60 characters overall. It's perfect for a confirmation, but makes an equally nice birthday or Christmas present. The necklace is on a chain that's approximately 46cm long so it will hang at a nice height. Personalise with a message over 3 lines of up to 60 characters overall.